Over the past few months I have been trying to update myself with the world as it has become. This has meant coming to grips with the workings of Ipad and iphone as well as WordPress so that I can be clever and add links and videos for you all to enjoy. Furthermore I have been hounded by my children over the past years to “stop being a dinosaur” and get into Facebook. Well finally I have succumbed and ……ta-da I now do have a Facebook page. I would really appreciate it if you check it out and like it if you’re feeling that way inclined. The link is here. While we’re on the subject of social media I currently have 97 followers on this blog. Being a competitive type I would love to go over the hundred. If you could refer the blog to someone else to follow I would really appreciate it. So that’s what you can do for me – what can I do for you? 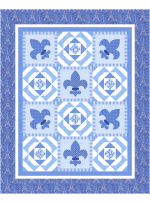 How about show you the latest fabric arrival at Apatchy Quilting? 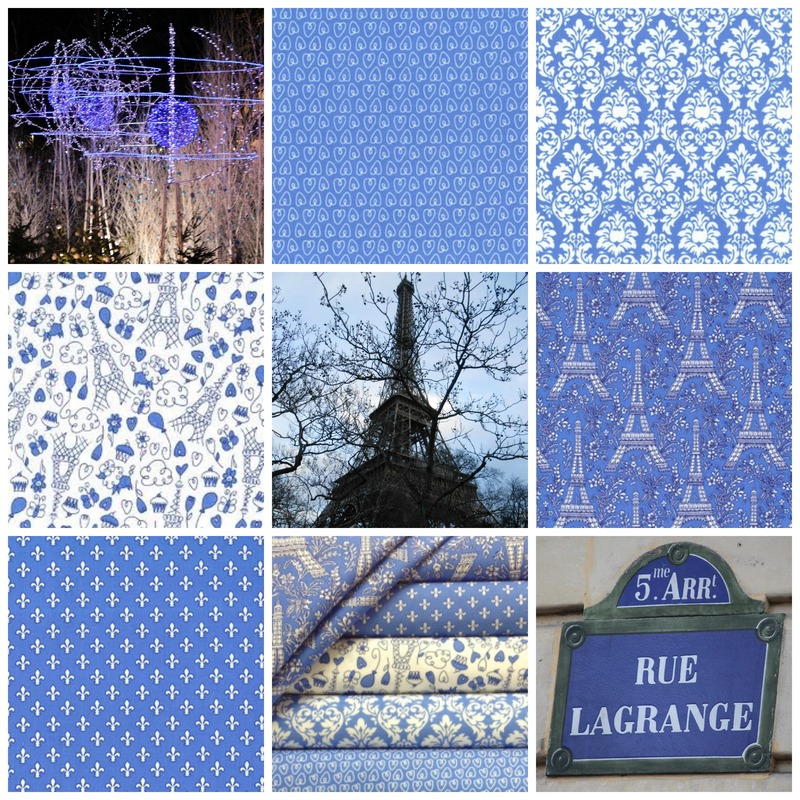 This beautiful range is from Michael Miller and is called Petite Paris – being a lover of all things French AND having a penchant for the blue hue you can see why I like it can’t you? I have added a couple of photos of my own to the collage above to tempt you. There is a free pattern here at Michael Miller Fabrics although I don’t think it does the range justice. What do you think? What would you make with this fabric? I would be interested to read your comments.